Home / News / Politics / Did Smartmatic help the Liberal Party rig the 2016 election result? Did Smartmatic help the Liberal Party rig the 2016 election result? Former Senator Bongbong Marcos seems to have solid grounds for battling for an election recount since evidence and stories show that Smartmatic company itself may have had a hand in rigging the election results in the last 2016 elections. It started when all the “ñ” in several candidates’ name came out as “?” in the Precinct Count Optical Scan (PCOS) machine which prompted a Venezuelan Smartmatic technician to conduct an unauthorized installation of a new program around 7:30 pm during election day. 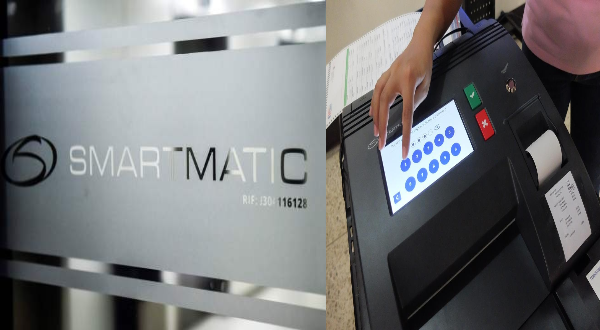 When he was questioned, the technician admitted that his boss, Smartmatic Project Director Marlon Garcia had instructed him to make the program changes. This was the same Garcia who was involved in the same controversy during the May 2013 elections, along with Smartmatic officials Cesar Flores, President for Asia-Pacific, and Albert Castro Rico who were charged for violating Republic Act 9369 or the Poll Automation Law when they changed the source code just before the elections day ended. Had, indeed, there been an error with the way “ñ” is read in the election machines, the dry run before 2016 elections would have shown that error and it would have been immediately addressed. Reports by a Parish Pastoral Council for Responsible Voting Center’s (PPCRV) IT expert showed that the Venezuelan technician introduced a new script into the program which spurs reason to believe that the results may have been tampered. “The Smartmatic IT expert’s job was only to ‘receive, decrypt and distribute’ the files. Since we are also IT experts and we have been doing this since the preparation for seven months already, we knew what the Venezuelan did was something irregular. He introduced a new script, a new computer program and commands that could alter everything and supersede the existing program,” the IT expert, who requested to remain anonymous, said. The government should be exercising its authority in pinning down those responsible for the electoral sabotage, however, there are officials who are biased about the results. COMELEC Chief Andres Bautista, who has since drawn flak for his ties with the Liberal Party, was quick in denying any electoral fraud even when there was no meticulous investigation conducted into the matter yet, and even PPCRV’s own Henrietta de Villa denied any confrontation between her team and of Smartmatic’s even when there had been a video record of it. With all the evidence and history to prove that there is an anomaly in the 2016 elections, Filipinos should support Marcos in his call for an election recount. True transparency must be demanded from the 2016 results as this is a testament to the voice of the people. If it is merely up to officials to determine who gets to win or lose, then Filipino democracy is nothing but an illusion.